Welcome to the first Italian day for the Internasjonal kulturkafé. This year, for the first time, IKIS will participate with its own event on Saturday 14th March. The menu will include choices for everybody, including the traditional lasagne and tiramisu (see picture). Kids portions are also available for the main dishes and there are options for vegetarians too. Prices are very reasonable, with a top 70 NOK for a main dish, 20 NOK for desserts, etc. 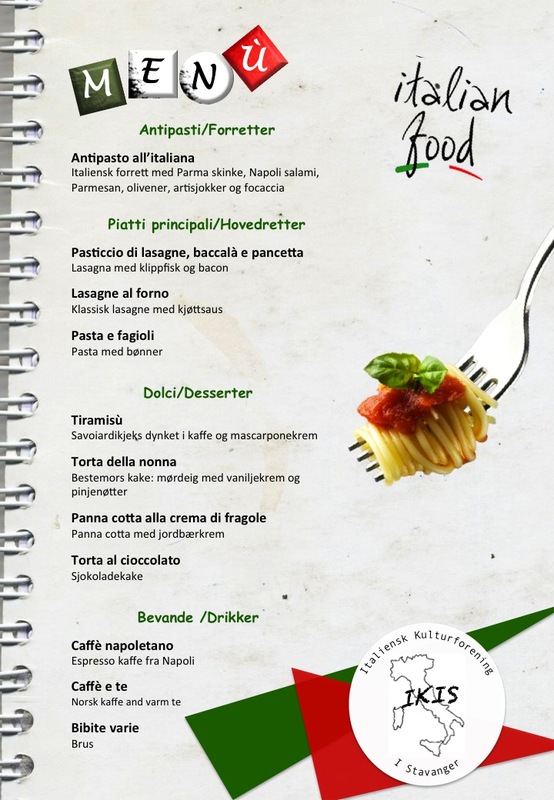 There will be also some music entertainment and the possibility to meet the Italian Cultural Association of Stavanger and learn about our exciting calendar of events for this year.